Amazon is here with a great deal offering Tommy Hilfiger 22.82 Ltrs Yellow/Navy Laptop Backpack at Rs 674 . Tommy’s backpacks from the house of Tommy are known for iconic American style, legendary colors and quality. Grab Now..!! 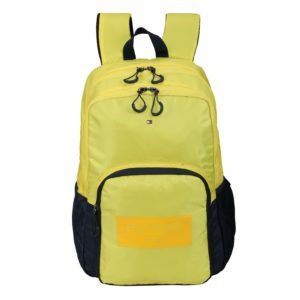 How to Buy Tommy Hilfiger 22.82 Ltrs Yellow/Navy Laptop Backpack?